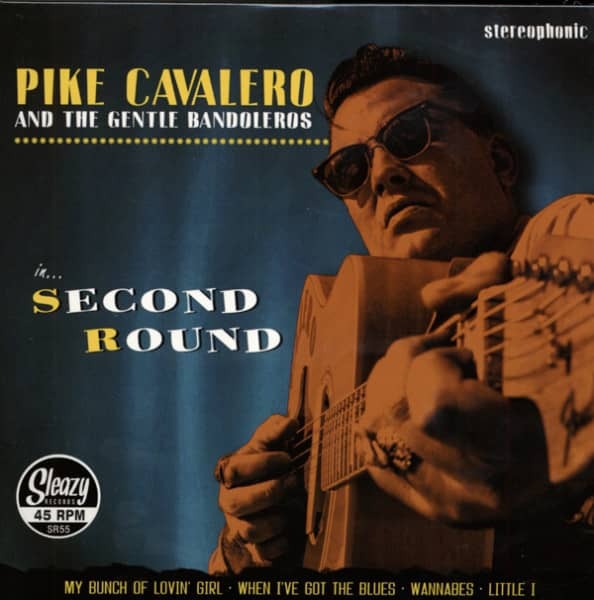 Pike Cavalero - musician and songwriter from the southeast of Spain - has managed to conquer a niche in the free music scene and offers a concept based on his powerful and real shows. Always accompanied by an unmistakable sound and his very striking appearance, he has succeeded in combining the essential factors to gain a foothold on some of the most important European and Spanish stages of the classical rock'n'roll scene. Pike began his career in mid-2009 when he decided to combine his passion for vintage sounds with his first steps in songwriting, recording and producing in a band in which, in addition to experienced musicians - also from the Spanish Southeast Coast - he acquired his very personal flair. They make their debut as Pike Cavalero & The Gentle Bandoleros in 2010 with the self-produced demo'Weekender', which will be released on December 21 in digital and CD formats and as a result will receive the support of one of the genre-oriented independents, Sleazy Records from Málaga, SP, which will release their first long-play'Just a Matter of Manners'. After a dizzying year full of shows in clubs and weekenders and a warm welcome in the classical rock'n'roll scene, two new releases came to light, which preserved the essential and gained persuasive power and personality. Six Shooter Blues' (7″ Vinyl EP - Sleazy Records - 2012) and'Second Round' (7″ Vinyl EP - Sleazy Records - 2013) let the artist go on and strengthen his image. After the release of 'Torro' (Sleazy Records, 2014) and the Sneak Peek 45'Ahora que lo tienes' (Sleazy Records - 2015) Pike Cavalero faces a new stage presenting his first album in Spanish,'Sin Miedo a Volar' (Sleazy Records - 2016). Customer evaluation for "In...Second Round 7inch, 45rpm, EP, PS"